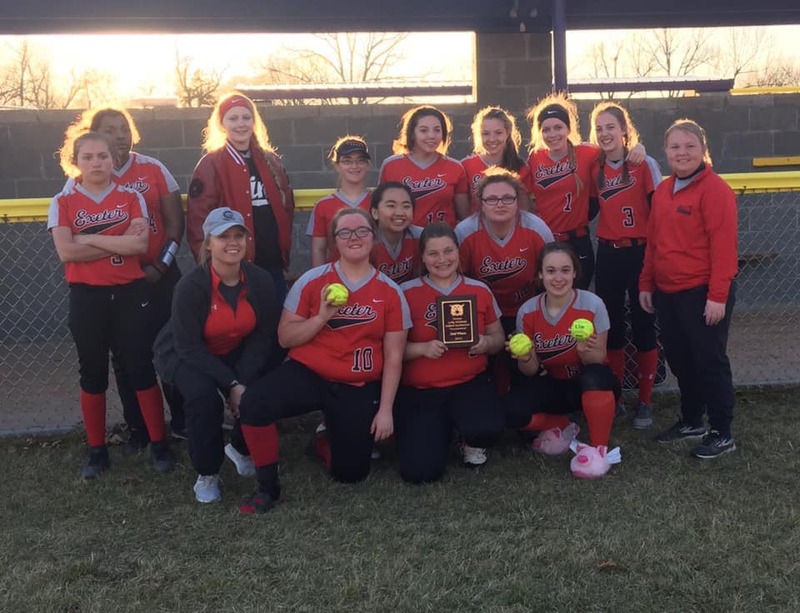 Traveling to Verona on Saturday, March 16, the Exeter High Softball team blazed past a majority of their competition to take home the 2nd place trophy. Pictured above from left to right, first row: coach Ashley Fly, Aubry Antle, Haylee Hobbs and Hailey Mattingly. Second row: Izzy Lee and Sam Crouch. Back row: Angelina Miller, Brianna Edwards, Abbi Caddell, Aubrie Graham, Vanessa Ward, Riley Still, Macy Barrett and Breana Grant.